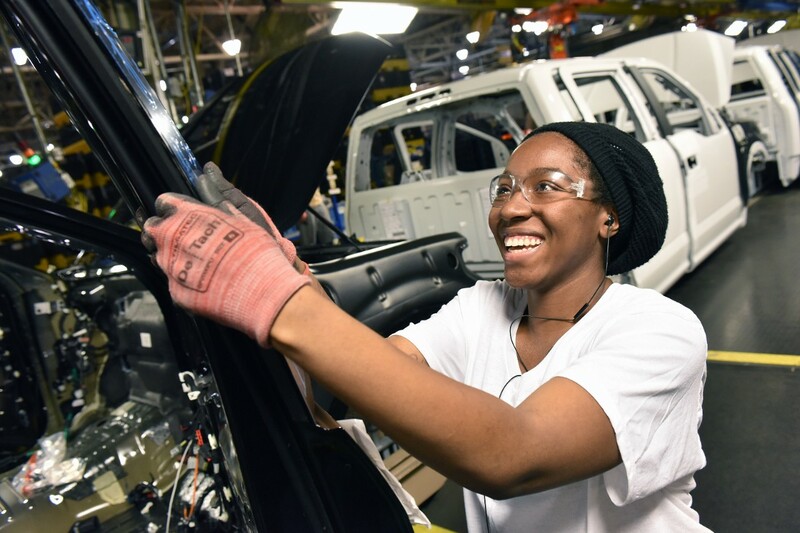 Though demand is strong, a short supply of F-150s cut Ford F-Series by 8.9 percent in June, giving some repairers a brief extension to gather the equipment and training to fix the aluminum truck before it hits its supply stride in October. But you’re at it, you may want to prepare for another new auto body material. The next-generation, ultra-high-strength steel-intensive Ford Edge and Ford Mustang are also pushing sales of those models leaps and bounds ahead of June 2014. Both of Ford’s F-150 plants, located in Claycomo, Mo., and Dearborn, Mich., together in June finally achieved “our normal running rate” and now “build more than we sell,” Ford sales Vice President Mark LaNeve said on an investor call Wednesday, but he estimated “full availability” on dealerships wouldn’t occur until the end of the third quarter. Right now, dealerships have an average of 75,000 new F-150s in inventory, compared with 141,000 in June 2014, and Ford is trying to hit a target of 120,000-130,000 by the start of the fourth quarter. The Claycomo plant didn’t start producing the 2015 F-150 until March, which Ford says was planned; the factory needed time to prepare to make an aluminum truck. However, less according to plan was an Metalsa frame shortage reported by Automotive News to have cut production by 13,500 trucks. The newspaper, citing a worker, said Ford planned Sunday overtime shifts to close that gap. These factors probably caused Ford’s 8.9 drop in F-Series sales last month, not weak demand. The truck sold twice as fast as the industry average in June, and F-Series average prices hit a record $44,100 in June (up $3,600 over 2014), according to Ford. The company annoyingly doesn’t break the F-Series sales down by model, but it’s safe to say anything Ford reports about the entire line of trucks is driven by the F-150. So the truck is still a monster hit, and though inventory is still lower than normal, Ford’s reached the point where the 90 percent of F-150 dealerships do have are 2015s. “We’re just going to now get the benefit of reaching full production,” LaNeve said. Sales of the Ford Edge, the 2015 edition of which contains a bumper, B-pillars and roof rail tubing made out of ultra-high-strength-steels rated for 1,000 megapascals or more, rose 29.8 percent over June 2014. “Edge continues to turn incredibly fast,” LaNeve said, lasting only 15 days on dealership lots. Ford didn’t break down the mix of 2014 versus 2015 Edge sales as it sometimes does for the F-150 when asked by analysts. But the company implied the 2015 Edge was responsible for both June statistics. Even more interesting this month was Ford’s 54 percent jump in Mustang sales — and who was buying them. 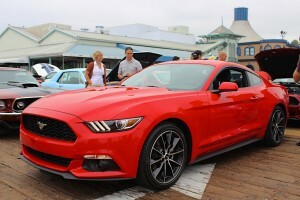 SoCal is considered ground zero for sports cars sales, and Mustang sales overall there were up 154 percent in June. Forty percent of those sales in the area were to millennials. 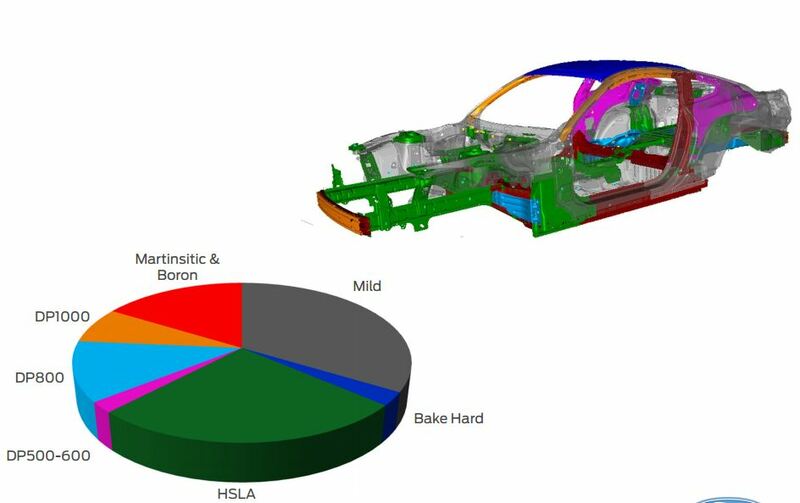 The 2015 Mustang bears extra attention from repairers because it uses a lot of ultra-high-strength steels rated at 1,000 megapascals or stronger as well as laser welding, not to mention all the aluminum closures. 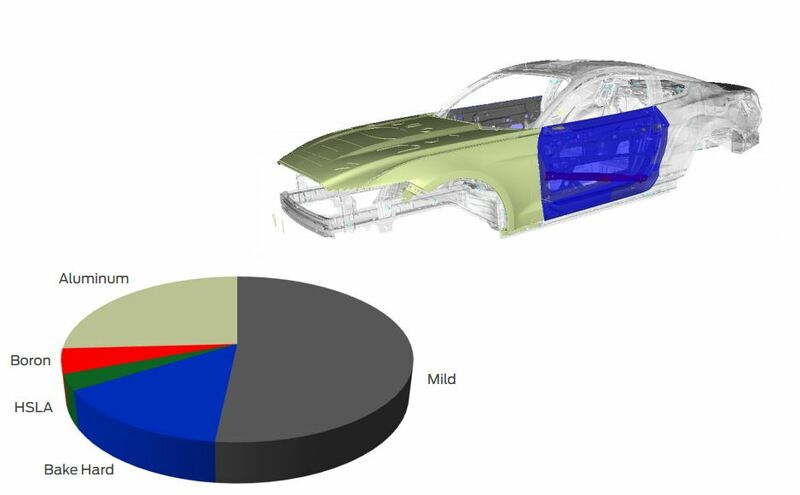 Here’s a couple of diagrams which should show you what you’re in for should the 2015 Mustangs appear in your shop as well as a more extensive presentation from the 2014 Great Designs in Steel.